For over twelve years ISS have been providing its residential customers with a five star service across the audio/visual and home networking/connectivity areas of its business. ISS have Part P electrically qualified engineers and that means that you can rest assured and be safe in the knowledge that any work undertaken will be finished to the very highest of safety standards. 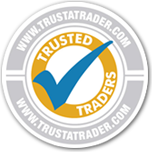 ISS’s customer feedback reflects its customer commitment with an average score of 9.9/10 on checkatrade.com and over 1300 reviews and also over 1700 reviews on trustatrader.com with an average of 4.9/5 is furtherproof of that ongoing commitment. The ISS electrical team are never too far away, with offices in your area, to provide expert advice and resolve any problems you may be experiencing. Advances in television technology mean that there are now a great many more television stations to choose from. Digital Televisions are not without their own fair share of connection problems, which can be traced from the aerial, right the way down to the television set itself. ISS can provide an engineer to verify that your TV is setup correctly and can check that your aerial passes a 100% health check which could be what is causing a poor picture on your television. Whatever type of television you have in your house, an LCD, LED, Plasma or any other type of Intelligent 3D flat screen televisions, our skill at transforming a mass of wires into an invisible feature is renowned. From simple wall-mounting's for flat fittings, right the way across to swivel mounts, . From small 19" televisions across to 70" TV's, you can rest easy knowing that when you use ISS, mounting your TV to the wall will be executed by an experienced engineer and fastened firmly and securely to the very highest of standards, and there won’t be any wires cluttering up your new AV experience. It doesn't matter if it's sky digital, sky plus, sky plus hd, sky 3d or freesat, the simple fact is that there are a great many more choices available to those residential subscribers of satellite television services. One of the problems is that you may not have the space required to make a satellite installation dish possible, then you may have been told that you are not able to watch the satellite channels on offer. In reality ISS helps many customers install satellite services even if the major providers have said that this is not possible. This means that our customers are able to watch all the channels that they wish. Whether its a new home cinema installation from Yamaha, right the way up to leading industry systems, our experience will transform your living room into the IMAX! It doesn't matter if you have a simple stereo and want to upgrade to 5.1, the ISS team can provide a one-stop shop for all your AV needs - even concealing the wires surround sound systems invariably produce. Controlling all the sound in your house is something that the Sonos system gives people looking for the most complete multi-rooms audio systems on the market. Our fully trained home audio engineers are able to provide you with support and installation services to make sure that the multi-room system works perfectly. With new techology becoming even more connectable from one device to another around the house, getting your Ipad to sync with your home network or other wireless device is not as straightforward as the instruction manual might have you believe. In the same way that Playstation's connecting to your load network, or Xbox's for that matter, can be problematic for those not technical savvy. ISS has been helping its customers resolve issues connected with home networking problems. ISS has experience in resolving problems found on networks from BT right the way through to Virgin, and has also been able to increase navigation speeds by identifying problems on customers home computers as well. The following list of towns are covered by ISS Electrical. Please use the ISS locator (above) to be provided with direct telephone details, or complete the form on the right to receive a quotation by email. This list of services are listed here to provide a sample of the types of services that our teams can attend to. ISS understand that its customers sometimes want to have a truly unique experience in their house, and with over 12 years in the business, the team of engineers have the necessary experience to help realize these experiences in practice. Whether you have ambitious ideas or simply need some support to make your home network or AV system work as smoothly as it was sold to you, you can find an ISS engineer nearby.